This candy board have 32 jellies and 17 are with meringue blocker plus 6 with grill boxes. To complete this level you should try to increase moon power and as it will struck will break same color candies and will give chance to make special candies like colorbomb. You should try to break meringue blocks and grill boxes to get more chance to play with candies and can get more special candies. You shouldn’t forget to balance the Owl and try to combine special candies with each other. 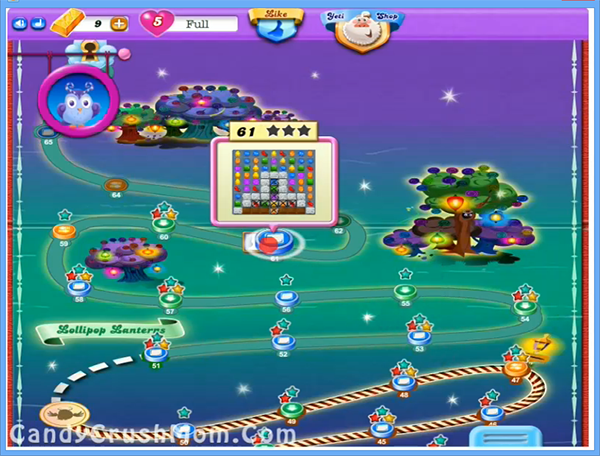 We completed this level with 120980 score by focusing more on special candies and reach requirement easily.